(339 1811) has been in business in Otago Lane (Nr. Gibson Street) for many years. It is the longest established secondhand bookshop in Glasgow and is chock full of second hand and antiquarian books on every subject under the sun. Caledonia Books specialize in antiquarian books and quality second hand books. They have a very extensive range in stock and this is the place to look if you are a fan of really lovely and interesting old books. The shop very successfully services the needs of the University’s students, courses and staff but offers much more besides. The shop promotes Glasgow University authors and provides information on recent works. They are rightfully proud of the service John Smith provides as the oldest English speaking bookshop in the World and aim to help customers find the books they are after – promptly. including a commitment to the promotion of “The Angry Corrie” – the hillwalker’s Fanzine. The books are in lovely condition and the shop is bright, fresh and very well organised. 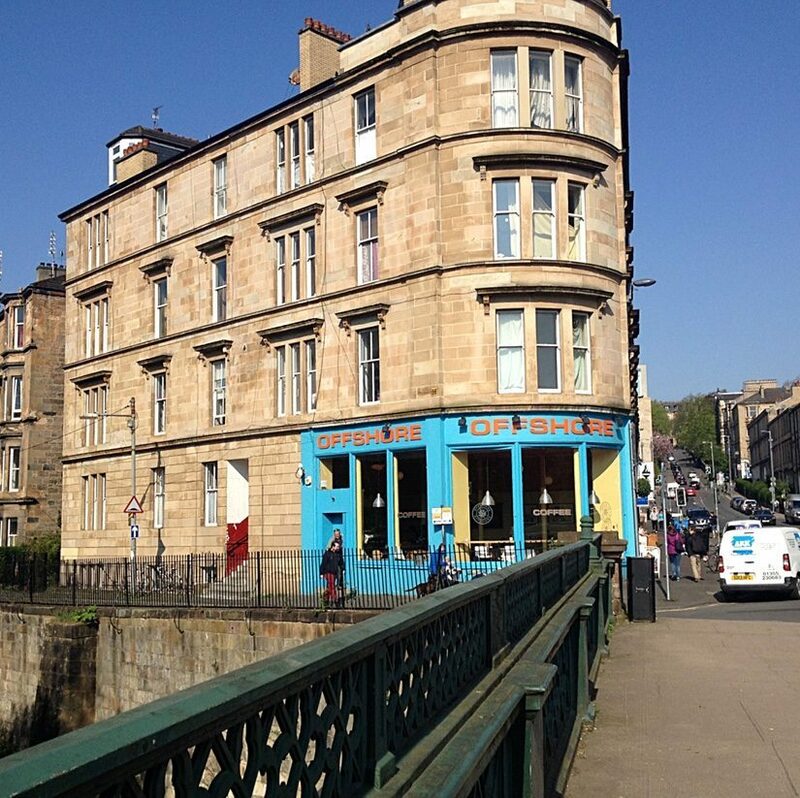 Don’t miss out on Bargain Books at 223 Byres Road (357 4303) – this chain sells new books including childrens’ books and best sellers at reduced prices. A small but well stocked independent book shop with good selection of fiction, poetry and travel writing. Also films and gifts. You will enjoy reading Christine Macrae’s Book Reviews Christine Macrae: The West End Good Book Guide also I have put a page together a selection of books from my bookshelf which I think are very good and well worth reading. I have selected lots of books about Glasgow plus more general titles including books recommended by Jim (my husband who is also an avid reader). The John Smith & Son Bookshop is, for me anyway, a good reason to take a walk down to Byres Road. Though not an especially large bookstore you can find all the latest new publications, old favourites, and every other category you can think of. The outside of the shop is nothing to shout about but inside it is attractive and well laid out and has an ambiance that seems to be tailored to the location. And this store is a little different. On the top floor ( there are three levels) there is a record store where you can find many ‘underground’ albums and hard to find musical artistes. The person who runs the record store – whose name escapes me for the moment is a noted vinyl geek and the person serving you behind the counter is likely to be a famous member of a long established Scottish band. I have heard stories of Japanese teens visiting the shop just to get a glimpse of this local celebrity – expressing amazement that he works in a bookstore. On the ground floor there is a childrens section which always looks lively and inviting and on the second floor you will find non-fiction titles with a large selection of ‘alternative lifestyle’ books, maps, guides, books for film buffs, arts and reference books.